Model T Ford Forum: OT - Cars sold by mid 1905, Ford in seventh place. 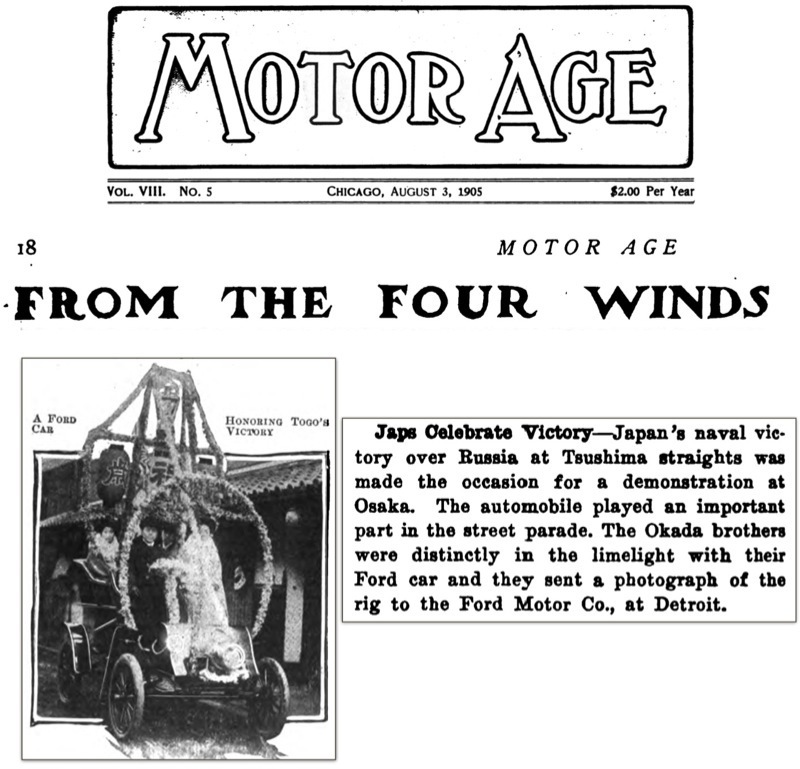 OT - Cars sold by mid 1905, Ford in seventh place. Model T Ford Forum: Forum 2013: OT - Cars sold by mid 1905, Ford in seventh place. I've been collecting registration information between 1905 and 1907 to follow Ford's rise to number one manufacturer. Within two years of making their first sale, Ford is in the top seven (in eastern states), of almost one hundred automakers making sales (71 American, 26 foreign auto makers list sales). Some cars show a strong presence in a few states, such as Columbia in Connecticut. 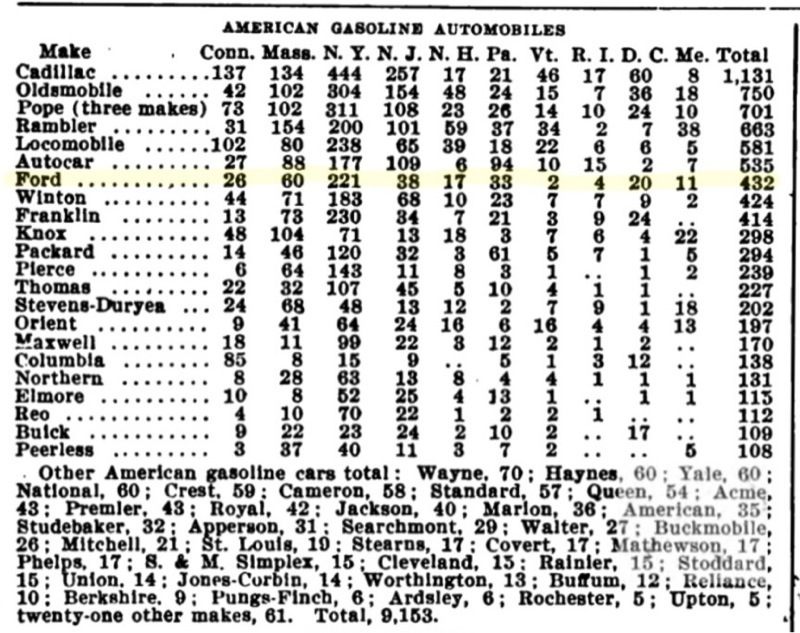 And Henry Ford's previous company, Cadillac is strongly in first place.